The SPX hit the 1260ish area earlier today and is trying to rally now. 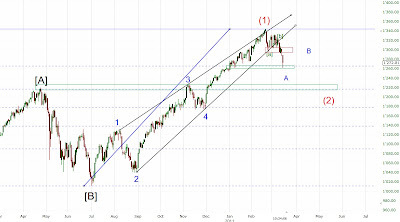 The second target (1260) for this correction was hit today. The short term wave count doesn't look completed to the downside though, so we may see another move towards 1260 later this week. The next targets below are 1220/25 and then the weekly MA 76 (which will be around 1170-1200 in April-May). 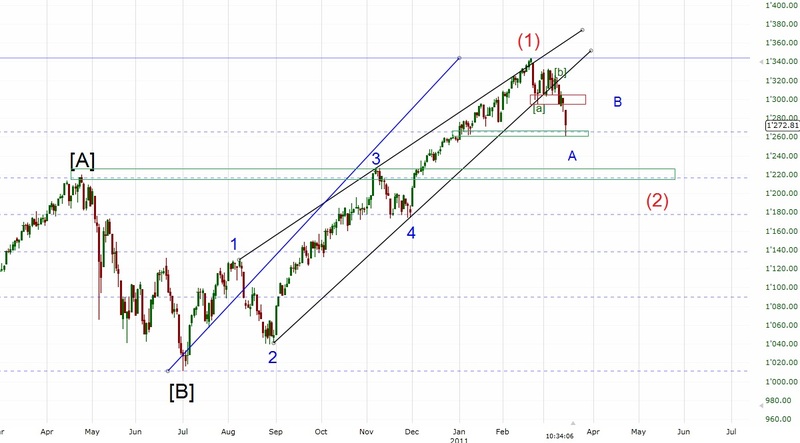 I'd like to repeat that I don't think this is a new bear market and 1340 the famous P2 top... At the moment I think this is only a correction and once it's over I expect a rally to new all time highs in late 2011/2012.